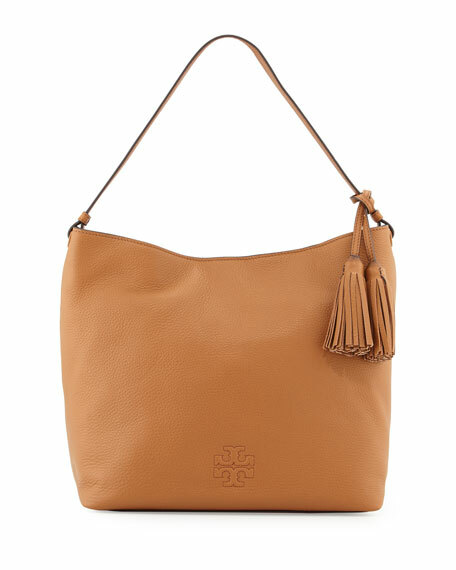 Tory Burch grained leather hobo bag. 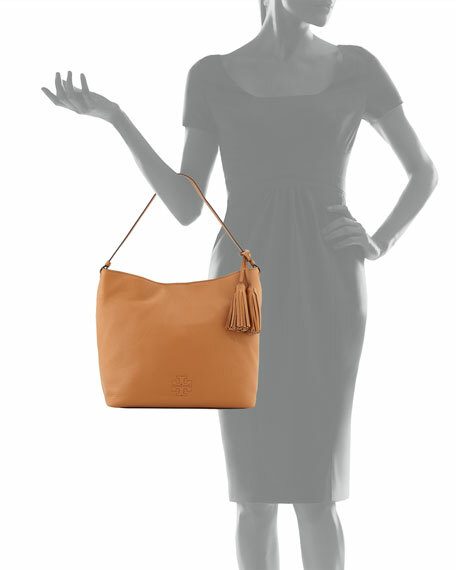 Flat shoulder strap; hanging tassel detail. Hidden magnetic closure at top. Inside: zip and open pockets. 11.4"H x 11.8"W x 5.9"D.
For in-store inquiries, use sku #1720050.